A campaign website has been established for David Ellis, recently slated by the Cook County Democratic Party as its candidate for the Murphy vacancy on the Appellate Court. That's a link to the site in the preceding sentence; a link has been added to the blog Sidebar as well. David Ellis is perhaps best known to the public as the prosecutor in the impeachment trial of former Gov. Rod Blagojevich and as an author of mystery and suspense novels. These are mentioned on the home page of the Ellis campaign site, but that page also touts the candidate's Qualified rating from the Chicago Bar Association. The CBA rating states, in part, that Ellis "has experience in complex commercial litigation, legislative drafting, and appellate practice. Mr. Ellis has excellent writing skills and has authored ethical opinions, briefs, and legal memoranda used in the legislative process." My literary pursuits are a fun diversion from my main work as a lawyer and have helped to make me a better rounded person by requiring that I imagine the way my characters see the world, consider how their experiences and histories shaped their beliefs, and construct plausible motivations for the actions they take. Everyone has a story, in the world of fiction and in real life, and I've learned that first impressions do not always hold up under a more systematic examination of the facts. Ninth Subcircuit judicial candidate Michael A. Strom writes FWIW this week that his campaign website is still being tweaked, but he's ready to have the link added to the blog Sidebar. Supporters of Maritza Martinez have announced a September 30 fundraiser for their candidate at La Villa Restaurants & Banquets, 3632 N. Pulaski in Chicago, from 5:30 to 7:30 p.m.
Honorary Co-Chairs for the event are 30th Ward Committeeman Ariel Reboyras and 33rd Ward Committeeman Richard Mell. Tickets for the event are $150 each, but sponsorships are available (Patron - $300, Supporter - $500, and Sponsor - $1,000). For more information about the event, or to order tickets, contact the Committee to Elect Maritza Martinez c/o the Law Offices of Victor Cacciatore, 527 S. Wells, Suite 800, Chicago or visit the candidate's campaign website. Appellate Court candidate Don Sampen is one of Avy Meyers' guests on this week's edition of North Town News Magazine. In Chicago, the Sampen interview will air on CAN-TV 19 on Thursday at 7:30 p.m. and Friday at 2:30 p.m. In Evanston the interview will air on Channel 6 on Thursday at 5:00 p.m. or Sunday at 10:30 p.m. In Buffalo Grove, Elk Grove Village, Hoffman Estates, Inverness, Lincolnwood, Morton Grove, Niles, Palatine, Rolling Meadows and Wilmette, this program will air on Channel 19, but not until Monday, September 23 at 6:00 p.m. In Arlington Heights, Bartlett, Des Plaines, Glenview, Golf, Hanover Park, Mt. Prospect, Park Ridge, Prospect Heights, Northbrook, Schaumburg, Skokie, Streamwood and Wheeling, NTNM airs on Channel 35, but this program will also be delayed until September 23. Or, of course, you could just watch the interview here. Tenth Judicial Subcircuit candidate Linda J. Pauel is one of Avy Meyers' guests on this week's edition of North Town News Magazine. In Chicago, the Pauel interview will air on CAN-TV 19 on Thursday at 7:30 p.m. and Friday at 2:30 p.m. In Evanston the interview will air on Channel 6 on Thursday at 5:00 p.m. or Sunday at 10:30 p.m. In Buffalo Grove, Elk Grove Village, Hoffman Estates, Inverness, Lincolnwood, Morton Grove, Niles, Palatine, Rolling Meadows and Wilmette, this program will air on Channel 19, but not until Monday, September 23 at 6:00 p.m. In Arlington Heights, Bartlett, Des Plaines, Glenview, Golf, Hanover Park, Mt. Prospect, Park Ridge, Prospect Heights, Northbrook, Schaumburg, Skokie, Streamwood and Wheeling, NTNM airs on Channel 35, but this program will also be delayed until September 23. 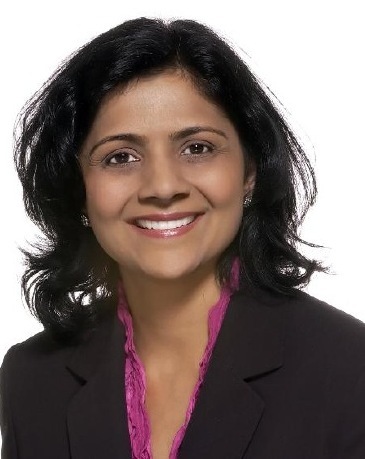 Former Evanston Alderman Anjana Hansen has announced plans to run for judge in Cook County's 9th Judicial Subcircuit. That's a link to Hansen's website in the preceding sentence; a link has also been added to the blog Sidebar. Licensed in Illinois as an attorney since 1998, Hansen maintains a law office in Evanston. According to her campaign website, Hansen's practice includes serving as an Administrative Hearing Officer for the City of Evanston. Also according to her campaign website, Hansen has served as chair of the annual Bike the Ridge promotion, an event which allows bicyclists of all ages to ride down historic Ridge Avenue without the impediment of vehicular traffic. She has also served on the City of Evanston's Community Development Block Grant Committee for 7 years. She also sits on the McGaw YMCA’s strategic planning committee for the Children’s Center. Hansen has been an instructor for the Evanston Police Department's Citizen's Police Academy, Loyola's Institute for Paralegal Studies, and Northwestern University’s School of Professional Studies for Police Staff and Command. Hansen's campaign website also notes her past involvement on the Board of the Democratic Party of Evanston. A campaign website has been established for Judge Caroline Kate Moreland, recently slated as the Cook County Democratic Party's candidate for the countywide Howse vacancy, the seat she now occupies pursuant to Supreme Court appointment. That's a link to Judge Moreland's campaign website in the preceding sentence; a link has also been added to the blog Sidebar. Judge Moreland was first appointed to the bench in 2010, filling a vacancy created by the retirement of Judge Victoria Stewart. After the Democratic Party slated Judge Pamela M. Leeming for this vacancy, Judge Moreland filed for a different vacancy in the March 2012 primary. She later withdrew from that race. Judge Moreland was subsequently appointed to the Howse vacancy when her prior appointment expired. Attorney John Curry has announced plans to run in the Republican primary for the vacancy in the 13th Judicial Subcircuit. That's a link to his campaign website in the preceding sentence; a link has been added to the blog Sidebar as well. 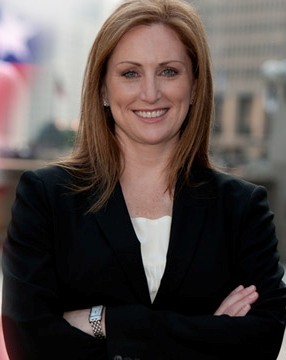 Currently a shareholder in the litigation department of the Chicago office of the Polsinelli firm, Curry has previously employed by the United States Department of Justice and as an Assistant Illinois Attorney General. Curry has been licensed to practice law in Illinois since 1978. According to his campaign bio, Curry has been "have been supporters of the Lyric Opera of Chicago, the Art Institute of Chicago, Wounded Heroes Foundation, the Midtown Educational Foundation, the American Ireland Fund, Old St. Patrick's Church, MS Chicago, and numerous other charitable and philanthropic organizations." He and his wife, Jamie, are members of St. Ann's Catholic Church in Barrington. Assistant Public Defender Joanne Rosado has announced plans to pursue election to the Cook County Circuit Court. That's a link to the campaign website in the preceding sentence; a link has also been added to the blog Sidebar. Licensed in Illinois since 2002, Rosado's campaign website says that Rosado has tried "over 40 felony jury trials, including several first degree murder cases." 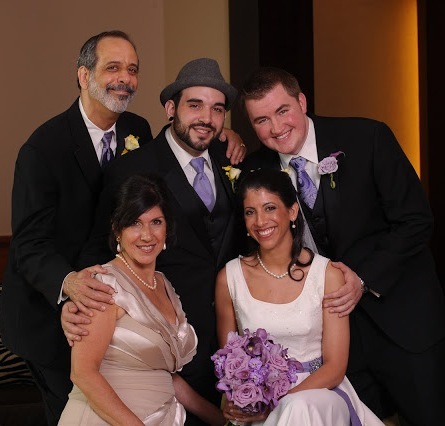 A graduate of John Marshall Law School, Rosado also attended DePaul University and Resurrection High School. She has coached a mock trial team at Bogan High School as part of the Chicago Coalition for Law-Related Education. Rosado also serves as a member of the board of the Puerto Rican Bar Association of Illinois. The Illinois Supreme Court announced today that Judge Allan S. Goldberg will soon retire from judicial service (he's been a judge since 1992) and that Supreme Court Mary Jane Theis will ask her screening committee to review the credentials of lawyers hoping for an appointment to that upcoming vacancy. The deadline for submission of applications is September 18. This vacancy will be among those filled in the 2014 primary. For more information about how and where to apply, click on the first link in this post. In a recent column, Sun-Times columnist Mark Brown seemed dismayed at the many judicial candidates who "cited their party credentials before mentioning their experience as lawyers or their ratings from the bar groups." I didn't see anything particularly unseemly about this: It's a standard rhetorical weapon in the arsenal of any would-be persuasive speaker. I don't suggest that one persuades in all cases by loudly proclaiming one's eternal fealty to the Democratic Party. Rather, a persuasive speaker tries to find something he or she has in common with the audience, whether that audience is a jury, a school group, or the Cook County Central Democratic Committee. The speaker puts something out there about himself: We have this in common. Identify with me. A vegan who wanted to get something from a beef producer's convention wouldn't start off her remarks by praising soyburgers. No, she'd look for something in common with her audience. Maybe, back in her 4-H days, like a lot of future ranchers, she'd raised a doe-eyed calf to exhibit at the County Fair. (She just would leave out the part about how she was so upset when the animal was sold for slaughter.) She'd say she's from rural America, just like her audience. I'm not so different than you. You can trust what I have to say. In his closing argument, the trial lawyer in the $3,000 suit tells the blue collar jury a story about his daddy coming home from the factory. I may look different, but we come from the same background. We share the same values. You should see things my way. The lawyer invited to address a student assembly at her old high school doesn't start out bragging about how hard she worked and how proud she was to be invited to join the National Honor Society. She did and she was -- but starting off with that would alienate too many of the kids in the audience. So she says, "I had to go to the principal's office when I got here this morning. And I was surprised that, even 20 years after I graduated, I was still nervous. My palms were sweating." Most of the kids could relate to that. And once you see me as someone like you, I have a chance to persuade you. So it is with the judicial candidates before the slating committees. Of course they're loyal Democrats -- particularly if "loyal" is measured by primary voting. Cook County lawyers who are interested in the court system have to take Democratic ballots in the primary; that's where the judges are elected. The Republicans have all but abandoned Cook County, especially in judicial races. There are seldom any election contests in the fall. The primary is the election. Some of the over 40 men and women who trooped to the podium last Thursday are partisan, activist Democrats. Some are less so. Some have been generous to Democratic candidates and active in a number of campaigns. Each emphasized whatever he or she could. They didn't say these things because they were willing to throw their own judgment or principles aside for the good of the Party, but because the room was filled with partisan, activist, Democrats. Identify with me. I am like you. We have much in common. The two candidates who didn't need to tout their party credentials were David W. Ellis and Judge Freddrenna M. Lyle. Judge Lyle was a committeeman herself, and recently; many in the room knew her well. Mr. Ellis was not a committeeman, but as the House Speaker's lawyer, he was also clearly an Insider. "Easiest decision we'll have all day," one committeeman told me when Ellis stepped up. Later, another candidate would remind the committeemen that he, too, had been one of their number. But he had been committeeman in what Richard J. Daley used to quaintly refer to as one of the "county towns." Just the fact that he had to remind his audience put him at a disadvantage; he was not slated. The room was filled with Insiders, and nearly all the lawyers parading to the podium were trying to look a little less like Outsiders. In this context, to me at least, the very rhetorical device that so offended Mr. Brown struck me as a little threadbare. What works with juries or school groups didn't seem very effective at the Hotel Allegro: The committeemen knew which hopefuls they'd seen before, which ones have been coming to events for years and which ones popped out of the woodwork within the last few months. The protestations of loyalty bothered Mr. Brown and, I'm sure, many of his readers. After awhile, I hardly even noticed these declarations anymore. Worse for the candidates, I don't think the committeemen noticed, or cared, much about these either. The Cook County Democratic Party slates by committee. The State Office Selection, County-Wide, Supreme and Appellate Court, and Circuit Court Selection Committees all make their recommendations to the Cook County Democratic Central Committee. The County-Wide and both judicial committees met Thursday; the State Office Committee met first thing Friday morning. At 11:00 a.m. the Central Committee convened to hear the committee reports. The Committeemen rose to say the Pledge of Allegiance. There was an announcement of an upcoming cocktail party fundraiser. The Treasurer's report was heard and approved with no fuss at all. Then it was time for the candidate committee reports. The County-Wide Committee reported first. With only incumbents seeking slating at the top of the countywide ticket (there were decisions to be made only for slating of the three Metropolitan Water Reclamation District seats open this year), the process seemed almost cut and dried. All of this was open to the press. But even counting this blogger, there were only a handful of reporters present by this point: I can confirm the presence of only Mark Brown of the Sun-Times, Mary Ann Ahearn of Channel 5, and a reporter from WBEZ. The Tribune's Rick Pearson and ABC7's Charles Thomas had been there earlier, when Bill Daley wasn't showing up to seek the Party's blessing for his gubernatorial bid. Bill Daley not showing up was considered news. Judicial races don't seem as important to most news outlets. But then it was time for the Appellate and Supreme Court Committee to make its report. The Committee recommended the slating of Judge Freddrenna M. Lyle, Chicago lawyer David W. Ellis, and Justice John Simon for the three available seats on the First District Appellate Court. Party Chairman Joseph Berrios asked for a motion to approve the report and Maine Township Committeeman Laura Murphy rose to move that the committee report be rejected. Chairman Berrios called on attorney Tom Jaconetty to explain why Murphy's motion was out of order (the Chairman ruling ultimately that a motion to accept the report had already been made). In the course of sorting things out, Mr. Berrios inquired whether Murphy was opposed to some or all of the committee report. The few reporters stirred: Dissension is interesting; it might even qualify as news. I don't know why. There is some lingering belief that the Democratic Party is a monolithic entity that thinks and speaks as one. Perhaps it was that way, once upon a time, when Bill Daley's father was the County Chairman. I only know for certain about the recent past, the last few election cycles. In the recent past, not every ward and township organization supports the county ticket from top to bottom. Search the archives here: There are always cracks and fissures in the "monolith" -- and not just on the Lakefront either. Some of the larger, "regular" organizations also sometimes "dump" one or more judicial candidates. Not always, just sometimes. But some endorsements, it seems, are better than others. Still, the monolith myth is well established. And it would have been interesting to hear what sorts of objections were raised to the judicial ticket and by whom. But then someone realized there were prying ears in the room, and the Central Committee went into executive session. The reporters -- even the blogger -- were ushered out. We'll never know all the details, but we will have a pretty good idea, in time, who dissented and which candidates benefited -- or suffered -- from the absence of consensus. Columnist Mark Brown of the Chicago Sun-Times was also at the judicial slating meetings this past week. Here's his take on the process. I'll respond to a couple of Mr. Brown's points just as soon as opportunity presents. Not every one of the 44 judicial hopefuls who appeared at the slating session Thursday at the Hotel Allegro got asked these three questions -- but most did. When asked, certain answers were expected: Yes, no and yes. Not all candidates were willing to meet these expectations. Questions 1 and 3 weren't the problem. Justice Harris holds his current position by appointment. He was originally appointed to the Circuit Court in 2000 but lost his bid to hold his seat in the 2002 primary. He was subsequently recalled to judicial service, most recently in 2010. A recall appointment is not an appointment to a specific vacancy, and a recalled judge need not face the voters. Two years ago, however, the Supreme Court instituted a policy of not recalling to service previously appointed judges who were not subsequently elected in their own right. Justice Harris's appointment to the Steele vacancy earlier this year is consistent with the Supreme Court's current policy. Thus, Justice Harris must run -- or leave the bench. Many prospective candidates gave all of the expected answers, even if they gritted their teeth while answering Question 2. Others tried to equivocate when responding to the question of whether they'd run without endorsement (as lawyers, our default response is "it depends" -- even though we demand them of witnesses, answers like "yes" or "no" are simply too definite for lawyers to easily provide). David Ellis told the committeemen that he'd have to consult his advisers before making a decision whether to run against the Party, but he'd give the Party's decision "great weight" when he made up his mind. He was slated for the Appellate Court. Brendan O'Brien told the Circuit Court Selection Committee that he'd give "great deference" to the slatemakers' decision, but he didn't commit to dropping out were he not endorsed. He was not endorsed. Judge Caroline K. Moreland said "she didn't plan on running against the Party," but she was the 31st of 32 candidates to appear before the Circuit Court Selection Committee and, by that time, no one tried to clarify that answer (it's a safe bet that most of the would-be candidates didn't plan on running against the Party -- they expected to run with the Party and hadn't fully contemplated the probability that they would not be endorsed). Judge Moreland was endorsed. Still, it wasn't all sighs or clenched jaws when candidates answered Question 2. Attorney Richard C. Cooke said that, if the Committee would not endorse him this time, "consider this my 2016 kick-off then." We've been warned. Cooke was not slated. All judicial hopefuls appearing before either selection committee had provided résumés and other supporting documentation; all committeemen in attendance were given binders containing these materials. Included in attorney Donna Makowski Rivera's packet was a glowing letter of recommendation from Sister Mary Paul McCaughey, OP, the Superintendent of Schools for the Chicago Archdiocese. She mentioned it in her remarks. Aren't you worried about a possible "backlash," one committeeman asked, having support from a prominent Catholic official? It struck me as an odd question. Backlash? If Chicago isn't as Catholic as it once was, many Chicagoans, Catholic and non-Catholic alike, still identify themselves as being 'from St. So-and-so's.' Makowski Rivera was not slated, so the question of possible backlash may never be answered. As the long day wore on, moments of levity leavened the proceedings. Many occurred in response to Question 3. Not every judicial candidate was a fourth-generation precinct captain. But many lawyers contemplating a move to the bench have done well in their careers (or they have friends who have done well) so they could answer the $30,000 question with some enthusiasm. "I don't think it's enough!" exclaimed one candidate -- and someone hollered out, "She's in!" Another said he could "write the check right now," to which one committeeman called out, "how much did we say the contribution was, 35?" "No," chimed in another, "I'm sure we said 40." At this point, the candidate leaned into the microphone. "Now I'm just a mark," he said, and the room erupted. A couple of male candidates answered the $30,000 question with, "yes, but don't tell my wife." The first one to use the line got a laugh. The second one to try it got a more negative response. "That's been done already," shouted one committeeman. A female candidate told the group that she could afford the contribution because "I married well." Another candidate said she could raise the money "if each of you give my campaign $375." The math works; the concept was foreign to a number of the committeemen. One committeeman, however, singing the praises of this candidate, promised to raise $5,000. Then another committeeman rose to echo what his colleague had just said, "except for the $5,000 part." All committeemen are not created equal, and I do not refer solely to the weighted vote that each of the 80 has (based on turnout in the last primary election). Some committeemen are more popular among their peers than others. Second Ward Ald. and Committeeman Bob Fioretti would probably admit that he falls into the less popular category. Thus, when James L. Byrne came in to make his pitch to the committee and said that he worked for both 40th Ward Committeeman Pat O'Connor and Fioretti, cries of "uh oh," went up in the room. These were loud enough that Byrne stopped and leaned back into the microphone. "I had to," he said, "I live in the 2nd Ward." Another moan went up, perhaps a quieter one. Ald. Fioretti was sitting right in front of me, however, and I distinctly heard him mutter, "Right answer." From the other side of the room, Ald. O'Connor also chimed in: "Anyone who can work for two of us simultaneously has a high tolerance for pain." Most of the committeemen laughed, but Byrne was not slated. A number of candidates made it a point to mention the support they had (or thought they had) from various committeemen. When Patricia O'Brien Sheahan was at the microphone, she emphasized that she had the support of her home committeeman, State Rep. Lou Lang of Niles Township. Lang was sitting at the head table at the time, facing the room. He made an exaggerated shrug at just that moment, to the great amusement of his peers. But Sheahan was slated. Ald. and Committeeman Michelle Smith of the 43rd Ward was among those who regularly questioned candidates about their bar ratings. First time candidates did not have all of theirs in yet. A couple admitted that they'd not been recommended by the Chicago Bar Association. One was asked whether he had appealed the adverse rating. Yes, he told the group, but unfortunately the CBA had just denied his appeal. None of the candidates who confessed poor bar ratings was slated. Every candidate, of course, promised to campaign hard for the ticket if selected. Kristal Rivers, however, may have found the best way to express that promise: If slated, she promised, "I will wear out the shoe leather on my best shoes" working for the ticket. Rivers was slated. The Cook County Central Democratic Committee today ratified the choices of the selection committees (see posts immediately below). As a result, a few campaigns may now fold. Others will refocus on the subcircuits. The Cook County Democratic Party does not slate candidates in the subcircuits. Slating there is done by the committeemen whose wards or townships are included within each subcircuit. In closed session this morning, the Cook County Democratic Party Central Committee voted to accept the recommendations of its Circuit Court Selection Committee. All 10 countywide vacancies had been filled by Supreme Court appointment. Eight of those 10 appointees appeared before the Party's Selection Committee, asking for endorsement. Five received it. Judge Alfred M. Swanson, Jr. was endorsed for the Arnold vacancy he now holds by appointment. Kristal Royce Rivers, an Assistant Attorney General and an Illinois attorney since 1997, was selected for the Connors vacancy (bypassing Judge Peter J. Vilkelis, the judge appointed to that position by the Supreme Court). Judge Daniel J. Kubasiak was endorsed for the Egan vacancy he now holds by appointment. Patricia O'Brien Sheahan received the endorsement for the Felton vacancy. (Judge Thomas J. Carroll, who holds this vacancy by appointment, was the Party's first choice as an alternate should another Circuit Court vacancy open up between now and the beginning of December). Judge Caroline K. Moreland was endorsed for the Howse vacancy that she now holds by appointment. Judge Cynthia Y. Cobbs was endorsed for the McDonald vacancy to which she was appointed. William B. Raines, reportedly a Party alternate in 2012, received the endorsement for the Neville vacancy (the Party electing to pass over Judge Gregory Emmett Ahern, Jr., who holds this seat by appointment). Judge Andrea M. Buford was endorsed for the Veal vacancy that she now holds by appointment. In addition to these endorsements, four alternates were selected -- effectively pre-endorsed -- should any additional Circuit Court vacancies occur between now and the beginning of December, the cutoff date for the special judicial filing period. As mentioned, Judge Thomas J. Carroll was the first of these alternates. The other three, in order, are Alfredo Maldonado, Travis Richardson, and Sean Sohag Chaudhuri. Judge Freddrenna M. Lyle, the former Alderman of Chicago's 6th Ward, was endorsed for the Gordon vacancy. 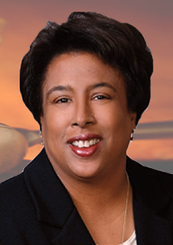 Judge Lyle was first appointed to the bench by the Illinois Supreme Court in late 2011. Judge Lyle chose not to run for the 2nd Subcircuit vacancy to which she'd been appointed so her appointment would have terminated last December 2. However, last November, the Supreme Court appointed Judge Lyle to the 7th Subcircuit vacancy created when the Supreme Court filled the Gordon vacancy on the Appellate Court by elevating Judge William H. Taylor to the Appellate Court. Chicago lawyer David W. Ellis was endorsed for the Murphy vacancy. 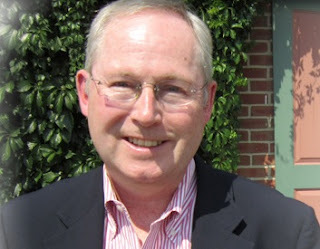 Mr. Ellis is counsel to House Speaker Michael J. Madigan and a successful author. 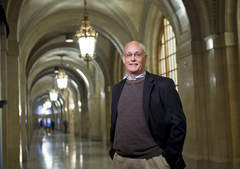 Mr. Ellis was the chief prosecutor in the Blagojevich impeachment trial. Justice John Simon, who presently holds the Murphy seat pursuant to a Supreme Court appointment, was endorsed for the Steele vacancy. Simon was a long-time partner with the firm of Jenner & Block before his appointment. 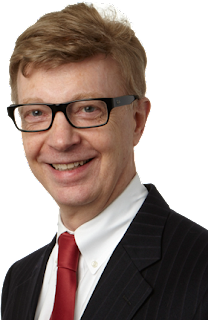 A lawyer since 1967, Simon has served as president of the Chicago Bar Association, president of the Lawyers Trust Fund of Illinois, and as a member of the Illinois Supreme Court Planning and Oversight Committee for its Judicial Performance Evaluation Program. He also has chaired the Supreme Court's Rules Committee and its Historic Preservation Committee. In 2008, Simon was awarded the CBA's Justice John Paul Stevens Award, which honors attorneys who "exemplify the highest personal integrity and devotion to public service." He is the son of former Appellate and Supreme Court Justice Seymour Simon. Presently assigned to the Steele vacancy is Justice Sheldon A. Harris. Although Justice Harris was not appointed to the Steele vacancy until earlier this year, Harris has served on the Appellate Court since 2010. He served on the Circuit Court for roughly a decade before his assignment to the Appellate Court. Although the Democratic Party did not endorse Justice Harris, it named him as one of four alternates it would support if additional vacancies on the Appellate Court open up between now and the beginning of the December and if he does not run against the Party in the meantime. The four alternates selected by the Party are (in order of Party preference) Judge John P. Kirby, Justice Harris, Judge Raul Vega, and Judge William S. Boyd. 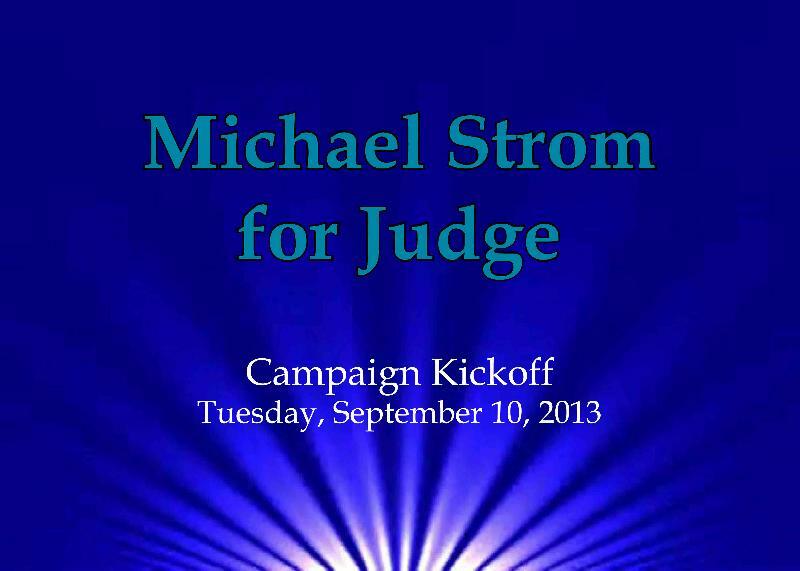 Supporters of 9th Subcircuit judicial candidate Michael Strom are planning a campaign kickoff reception for Tuesday, September 10, from 5:30 to 7:30 p.m., in the third floor lounge at 200 N. LaSalle Street. Tickets for the event are $100 each, although sponsorships are available ($250 Friend, $500 Supporter, $1000 Enthusiast, and $5,300 I-like-Mike-to-the-Max-and-will-give-the-maximum-allowed-by-law). To reserve tickets or for more information, email stromforjudge2014@gmail.com. The Strom campaign advises that its campaign website is in development and will be online shortly. When that happens, FWIW will provide a link. This is an update of a post that appeared most recently in June. As always, all errors or omissions in this list are mine alone and I am grateful for additions and corrections provided. Criminal defense attorney Peter Michael Gonzalez has announced plans to seek a countywide judicial vacancy. That's a link to Gonzalez's campaign website in the preceding sentence; a link has also been added to the blog Sidebar. The Gonzalez campaign is also holding a campaign kickoff event on August 13, from 5:00 to 7:00 p.m., at the Law Offices of Baugh Dalton Carlson & Ryan, LLC, 135 S. LaSalle Street, Suite 2100. The suggested donation for the event is $100, but sponsorships are available at levels of $250, $500 and $1,000. For more information about the event, or to confirm your plans to attend, email gonzalez4judge@gmail.com. Licensed as an Illinois attorney since 1994, Peter Michael Gonzalez maintains his law office at 2650 W. 51st Street in Chicago. Gonzalez has also served as an Administrative Law Judge, conducting unemployment benefit hearings for the Illinois Department of Employment Security (IDES). Gonzalez's campaign website estimates that he has conducted as many as 9,000 of these hearings. In addition, Gonzalez has served as President of the 14th Ward Volunteer Legal Clinic. Before setting up his own practice, Gonzaelz worked as an Assistant Public Defender. He began his legal career with the firm of Marvin Leavitt and Associates. 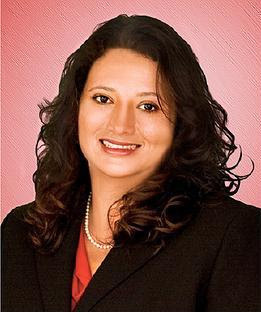 Gonzalez's wife, Dawn Gonzalez, is a former President of the Women's Bar Association (2004-05). Assistant State's Attorney Nichole C. Patton is planning a 2014 judicial bid. That's a link to Patton's campaign website in the preceding sentence; a link has also been added to the blog Sidebar. 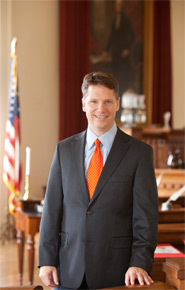 Patton has been licensed as an Illinois attorney since 1997. 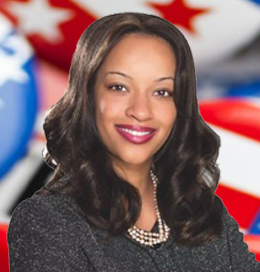 According to her campaign website, Patton is currently assigned to the State’s Attorney Office, Senior and Persons with Disabilities Unit, responsible for prosecuting cases seeking commitments and treatment for individuals who have been involuntarily detained at Cook County mental health hospitals. She also serves as a hearing officer for the Village of Matteson, hearing and as an arbitrator in the Cook County court-annexed mandatory arbitration system. Patton worked in the State's Attorney's Office previously, until 2001. Before rejoining that office in 2006, Patton was a staff attorney with Liberty Mutual Insurance Company, an associate with Iwan Cray Huber Horstman & VanAusdal and a sole practitioner. This is Patton's third bid for judicial office; she ran in the 15th Subcircuit in 2010 and countywide in 2012. A campaign website has been established for Judge Cynthia Y. Cobbs. That's a link to the site in the preceding sentence; a link has been added to the blog Sidebar as well. 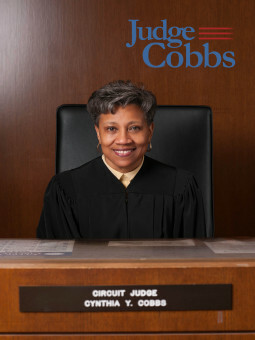 The Illinois Supreme Court appointed Judge Cobbs to the bench in 2011. Prior to her appointment, Cobbs served as Director of the Administrative Office of the Illinois Courts. Chicago attorney Don Sampen is planning a bid for a seat on the First District Appellate Court. That's a link to Sampen's campaign website in the preceding sentence; a link has been added to the (still very short) list of Appellate Court candidates in the blog Sidebar. Currently a partner with the Chicago firm of Clausen Miller, Sampen has appeared in trial and appellate courts around the country, litigating insurance coverage and other commercial matters. In addition to his law practice, Sampen has written extensively on legal topics, both for law reviews and (on a regular basis) for the Chicago Daily Law Bulletin. He also teaches part-time at Loyola University School of Law and has taught at Northwestern University and the Chicago-Kent School of Law. Licensed as an attorney in Illinois since 1975, Sampen began his career as clerk to Judge Philip W. Tone of the Seventh Circuit Court of Appeals, and later served as the Chief of the Public Interest and Special Litigation Divisions of the Illinois Attorney General's Office. Sampen has made two prior bids for the Appellate Court, in 2010 and 2012. He also ran for a 12th Subcircuit vacancy on the Circuit Court in 2006. Former Judge Ketki "Kay" Steffen is looking to return to the bench, making a bid for a vacancy in the far Northwest Suburban 13th Judicial Subcircuit. That's a link to Steffen's campaign website in the preceding sentence; a link has also been added to the blog Sidebar. Steffen was appointed to a 13th Subcircuit vacancy in early 2010, but lost her bid to retain her position in the 2012 primary. Since her judicial appointment expired, Steffen has been working for Steffen Law, P.C., in Elgin. Prior to her appointment, Steffen was a Cook County Assistant State's Attorney; she was a finalist for Associate Judge in 2009. Updated 8/7/13 per discussion with the candidate. Although the linked website may still contain references to the 2012 13th Subcircuit bid, Steffen told FWIW she is planning a countywide race. Found online: A 2014 campaign website has been set up for Judge Anthony C. Kyriakopoulos. That's a link to the site in the preceding sentence; a link has been added to the blog Sidebar as well. 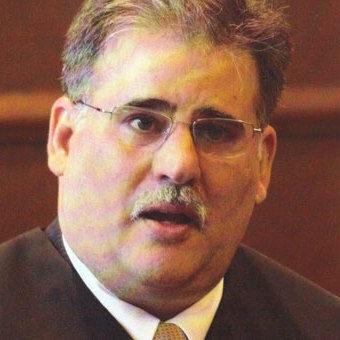 Judge Kyriakopoulos has served on the bench since early 2010 when the Supreme Court appointed him to a 10th Subcircuit vacancy. After then-Ald. Thomas R. Allen filed for that same vacancy, Judge Kyriakopoulos withdrew (leaving Allen unopposed). In August of last year, before his original appointment expired, the Illinois Supreme Court appointed Judge Kyriakopoulos to a new 10th Subcircuit vacancy, the Sullivan vacancy. On his campaign website, Kyriakopoulos asks voters' support "to elect me to the position for which I was appointed." Kyriakopoulos has been licensed in Illinois since 1990. Before his appointment to the bench, Kyriakopoulos served as an Assistant State's Attorney in Cook County. Found online: Former Chicago Revenue Director and City Treasurer Judith Rice is running for a vacancy in Cook County's 7th Judicial Subcircuit. That's a link to Rice's campaign website in the preceding sentence; a link has also been added to the Sidebar. Licensed as an attorney in Illinois since 1988, Rice is currently employed by BMO Harris Bank as Senior Vice President, Community Affairs & Economic Development. The daughter of former Chicago Police Superintendent Fred Rice, Judith Rice began working for the City of Chicago in the Corporation Counsel's office in 1989. She moved to the Department of Revenue in 1993, first as Deputy Director, then as Director in 1995. In 1996 Mayor Richard M. Daley appointed her Commissioner of the Department of Water. She later became Commissioner of the Chicago Department of Transportation before being named City Treasurer in November 2000 (replacing Miriam Santos after Santos pleaded guilty to a felony mail fraud charge). Elected to a full term in 2003, Rice stepped down in late 2006, joining Mayor Daley's staff to work on special projects involving economic development. 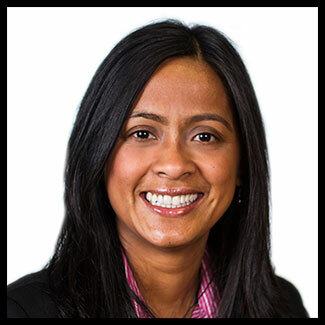 She joined BMO Harris in 2007. According to her campaign bio, Rice serves, or has served, on the boards of the March of Dimes, UCAN, the Chicago Public Library (through January 2012), Neighborhood Housing Services, and the Civic Federation. A fundraiser for Cook County judicial candidate Brendan O'Brien is being planned for Thursday, September 19 at the Rosebud in the Three First National Plaza building, 70 W. Madison Street, from 5:00 to 7:00 p.m.
Tickets for the event are priced at $100 each, and sponsorships are available for $500. Cocktails and hors d’oeuvres will be served. To reserve tickets, or for more information, email nrowell@hinshawlaw.com. Earlier this week the Illinois State Board of Elections released the 2014 Candidate's Guide. That link will take you to a page on the ISBE website from which you can download the booklet. Please note that the Candidate's Guide, while very useful, is no substitute for legal counsel. I am not an election lawyer. But such lawyers do exist. And if you hope to run for judge in Cook County -- for any office, really -- you really need to retain such a lawyer. At least one. Don't say I didn't warn you.